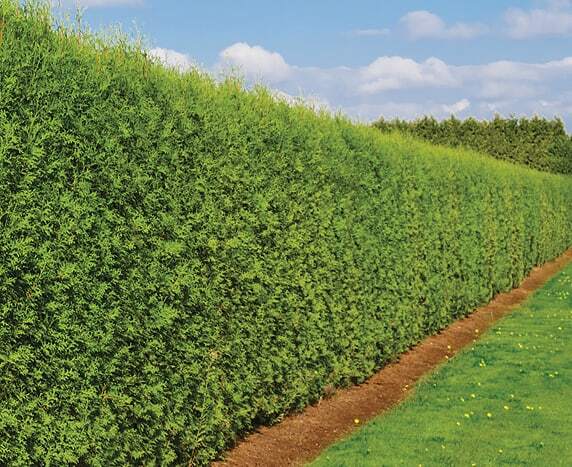 Arborvitae hedges are extremely popular for screening and privacy due to their evergreen foliage, dense growth habit, lush green color, hardiness, and ease of maintenance. 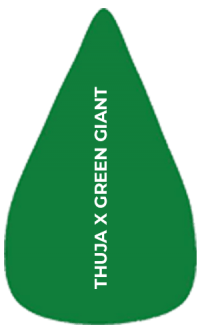 There are many varieties to choose from, including Green Giant Arborvitae (Thuja x ‘Green Giant’) and Emerald Green Arborvitae (Thuja occidentalis ‘Smaragd’). Different arborvitae varieties are prized for different reasons, but the main thing persists: you can’t beat the dense growth and beautiful, dark green foliage. The differences include hardiness zones, growth rates, growth habits, maintenance, light requirements, and deer resistance. Cold hardiness obviously makes a big difference on where different varieties can be grown. Evergreen Arborvitae, in general, are used a lot in the Northern and Midwestern US due to their tolerance for cold temperatures. is extremely cold-hardy, thriving in USDA Zones 2-8! This applies for the straight species as well we the variety Emerald Green. 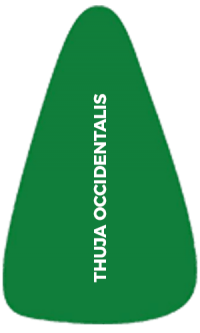 is a hybrid between Thuja plicata and Thuja standishii. 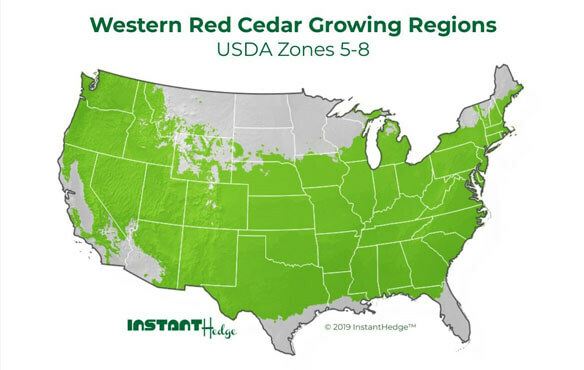 It is hardy in USDA Zones 5-8, which still covers a lot of the colder regions of the US and can grow further south than Thuja occidentalis. (not technically called Arborvitae but still a member of the same Thuja genus) is native to the Pacific Northwest, and it is a great choice for Western and Warmer states. 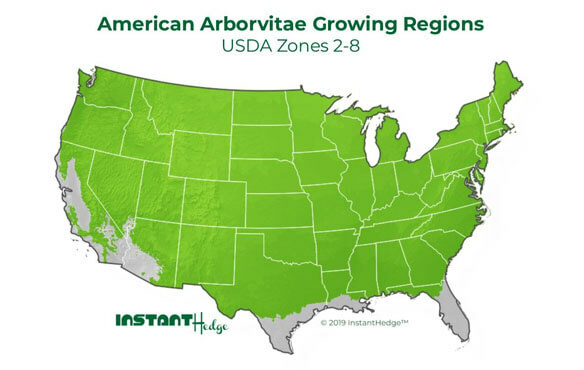 There is a big difference in growth rate with Arborvitae that is important to consider when choosing a variety for a hedge. 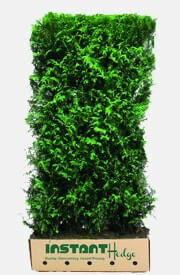 Green Giant Arborvitae grows at an incredibly fast rate; up to several feet per year in the right growing conditions! Use when fast height is of the utmostimportanceand there is ample room for width as well. This plant will require pruning to keep it under control. American Arborvitae and Virescens Western Red Cedar are medium-rate growers, increasing by 1-2 feet per year in optimum growing conditions. Use when fast height is important, but width space is limited and/or less pruning is desired. 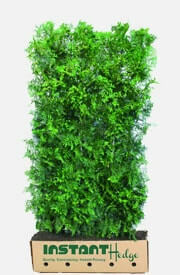 Emerald Green Arborvitae is the slowest grower of the Arborviate group. The bad news is it will take longer for these to reach towering heights to provide second story privacy. The good news is that you will have optimum density and minimal pruning needed. Looking at the plant’s natural growth habit can help guide decisions as well. From looking at the diagram below, you can see that the Green Giant will fill out a big space faster than any other variety but will need intensive pruning to maintain in a smaller space, while the Emerald Green will take some time to fill out a big space but will be incredibly low-maintenance in a small space. 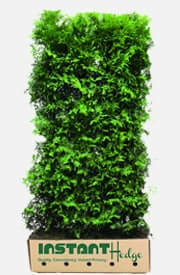 Arborvitae hedges are generally quite low-maintenance, needing little to no supplemental water and light pruning. As we have discussed, however, some varieties grow a lot faster than others and will require more intensive pruning if a small, manicured hedge is desired. It is very important not to let your Arborvitae as a hedge get very large and then prune hard to regain control, as Thujas have limited latent buds and will not “fill in” like other hedge types. We have all seen the very ugly result of this poor management practice. Keep on top of it and you won’t have any issues! 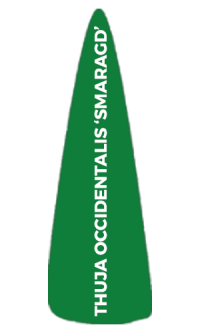 has the lowest pruning requirements of any Arborvitae (maybe of any plant!) to maintain as a tight hedge. 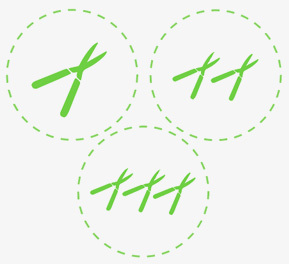 Prune lightly once per year or as needed to shape. American Arborvitae and Virescens Western Red Cedar will need yearly pruning to keep at an appropriate hedge size. These make wonderful mid-sized hedges. is the most vigorous grower of the group and will in some years require 2 prunings to keep to a small size. 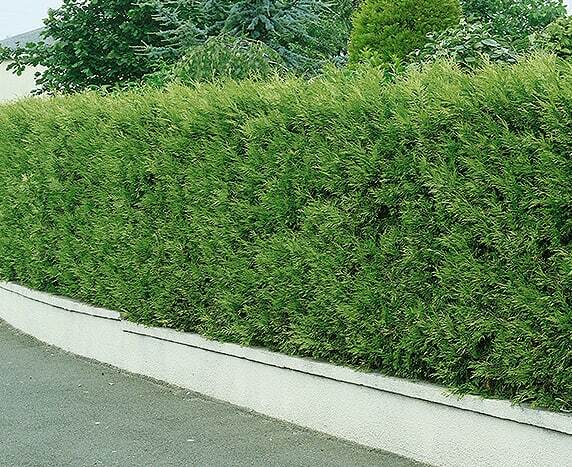 This is a good option for a privacy hedge as it will reach a large size quickly. Prune the top half of the hedge to be slightly more narrow than the bottom half. This will prevent the lower foliage from shading out and will keep your hedge uniformly beautiful for years to come! needs full sun to stay healthy since it has extremely dense growth. and Virescens Western Red Cedar can both grow in full sun to partial shade. 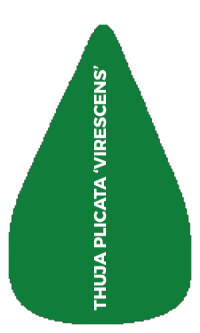 can grow in full sun, partial shade, or mostly shady environments, due to its loose and vigorous growth. It carries varying levels of deer-resistance. 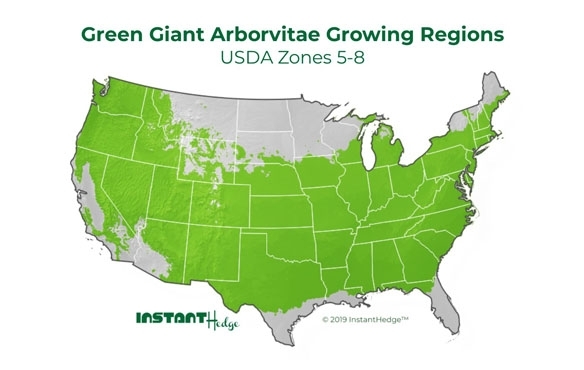 Although there is no such thing as a 100% guaranteed deer-resistant Arborvitae, Green Giant does come pretty close! is deer-resistant. It can also be used to create a deer-proof hedge around other deer-favorites! is not a deer favorite by any means. Very hungry deer may nibble, but they won’t be back for more. and American Arbovitae are, unfornuately, well-loved by deer as well as humans. Other varieties should be considered for deer-heavy areas. 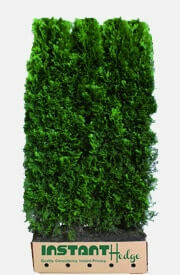 Arborvitae have a wide range of uses, no secret to any landscape designer! They can be used alone as unpruned or topiaried specimens, and they are also excellent for hedging. Privacy hedges, lining driveways, and creating garden rooms are some of the best uses for this hedge. The dense habit of Arborvitae means unparalleled privacy when used as a screen. Driveways get a stylish upgrade when lined with a luxurious Arborvitae Hedge. Different areas of a garden become more useful when designated for specific purposes. 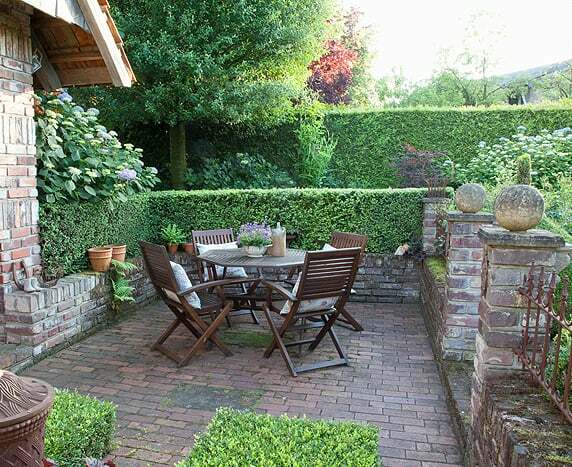 Section off a quiet area for reading and deep conversations with a tall Arborvitae hedge. Red Cedar will need yearly pruning to keep at an appropriate hedge size. These make wonderful mid-sized hedges.